When we talk about power metal acts, we tend to focus mainly on the European countries that molded and defined the genre with their cream of the crop acts. However, in this discussion the United States is seldom represented. 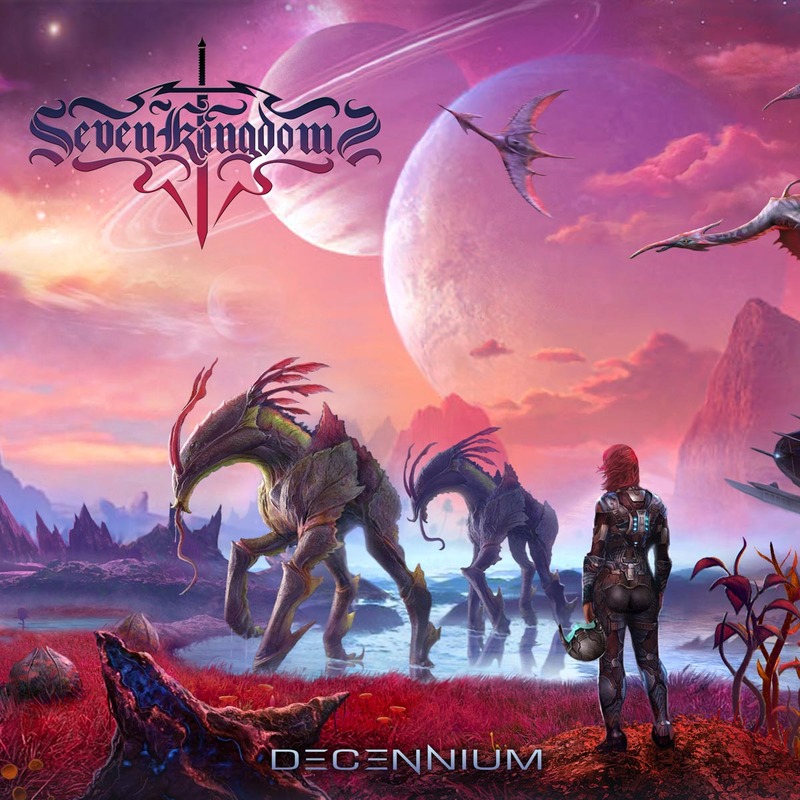 Florida metal act, Seven Kingdoms, look to change that with their crowdfunded release of Decennium. With their blend of Symphonic and Power metal, Seven Kingdoms has the potential to finally put the U.S. on the map in this much-loved genre. Powerful female vocals, mixed with fast paced technical riffs and strong drumming, create a very European sound for the band, I honestly had to double check and make sure they were from Florida when I listened to Decennium. The opening track, “Stargazer,” set the tone very nicely for the album, building the anticipation for what the rest of the release holds. It sets the bar very high, leaving you with a very high expectation as you listen to the album. I feel like this album is a very valiant effort from Seven Kingdoms, giving the U.S. market a band that we can get behind in this genre. With standout tracks like “Stargazer,” “In the Walls,” “The Tale of Deathface Ginny,” and “The Faceless Hero” – just to name a few – Decennium is a very well-constructed accomplishment for the band. The band’s use of guitar solos was something that I really loved, they blended perfectly with the strong vocals, giving the songs a full and complete sound. The 10-track release is scheduled to hit the market in early to mid-February 2017, followed by a tour of North America in May and June of 2017. If you are a fan of Delain and Nightwish, you will not want to miss out on Decennium.